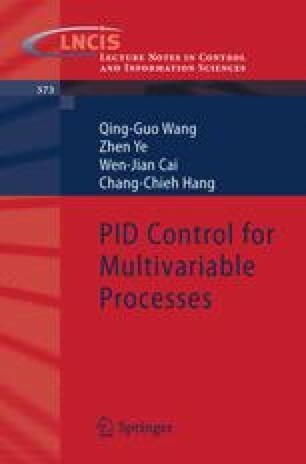 The stabilizing ranges of decentralized PID parameters for MIMO systems are discussed in the previous chapter as well as the loop gain margins. This chapter will continue the stability margin discussion but focus on the loop phase margins of MIMO systems. Unlike the loop gain margins that corresponds to the stabilizing range of multi-loop P control, loop phase margins are related to multi-loop phase characteristics and not effected by P control. This gives additional difficulty in their determination. Nevertheless, two methods, respectively in time and frequency domain, are presented under the framework of LMI or constrained optimization.